The four ‘dubia’ cardinals – Walter Brandmüller, Raymond Burke, Carlo Caffarra and Joachim Meisner – after not receiving any official response from either Pope Francis or Cardinal Gerhard Müller on the questions they submitted to the Holy Father regarding the interpretation of specific doctrinal points in Amoris laetitia, have requested an audience with the Pope. They did so in April but, just like their original dubia, have received no response to their request. Mirroring previous actions, they have now made their audience request public. Sandro Magister has the full text, which I share below. The letter was written by Cardinal Caffarra on behalf of himself and the other three cardinals. We wish to begin by renewing our absolute dedication and our unconditional love for the Chair of Peter and for Your august person, in whom we recognize the Successor of Peter and the Vicar of Jesus: the “sweet Christ on earth,” as Saint Catherine of Siena was fond of saying. 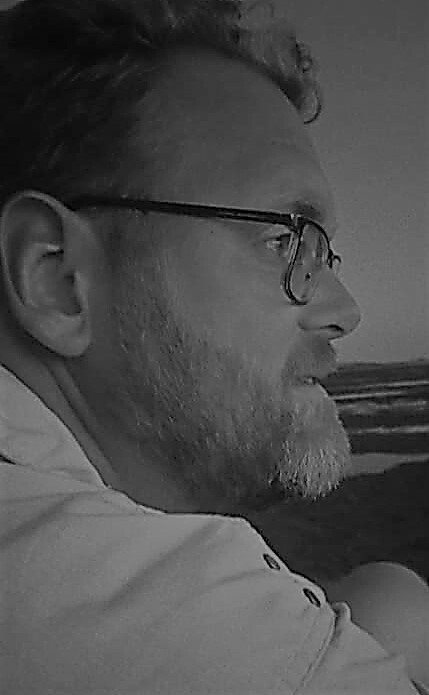 We do not share in the slightest the position of those who consider the See of Peter vacant, nor of those who want to attribute to others the indivisible responsibility of the Petrine “munus.” We are moved solely by the awareness of the grave responsibility arising from the “munus” of cardinals: to be advisers of the Successor of Peter in his sovereign ministry. And from the Sacrament of the Episcopate, which “has placed us as bishops to pasture the Church, which He has acquired with his blood” (Acts 20:28). 1. Request for clarification of the five points indicated by the “dubia;” reasons for this request. 2. Situation of confusion and disorientation, especially among pastors of souls, in primis parish priests. The cardinals, like before, go out of their way to express their respect for and unity with the Pope, even noting that they are in no way sedevacantist or intent on assuming some part of the Petrine ministry. Of course, too often we see anyone daring to disagree with Pope Francis being accused of undermining what the Pope wants to do, and even of being his enemies. This sort of blind and simplistic behaviour prevents honest discussion and sharing of thoughts, which, it must be repeated, was exactly what Pope Francis asked for in the runup to the two Synod of Bishops assemblies which produced Amoris laetitia. There are many who claim that Amoris laetitia has not led to confusion, and was not intended to do so. The latter part may well be true, as has been emphasised several times by the Prefect of the Congregation of the Doctrine of the Faith, Cardinal Müller: the Exhortation must be read within the broader tradition of the Catholic Church. It is clear however, that confusion exists in or is being caused by the interpretations of Amoris laetitia. 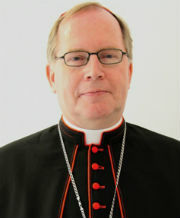 Another cardinal who acknowledged this, in December of 2016, was Cardinal Willem Eijk. The letter also states that conflicting interpretations exist. The bishops of Poland and the Archdiocese of Philadelphia promote interpretations that are closer to the traditional teachings than the bishops of Germany and Malta do, just to stick with the examples mentioned. They can’t all be correct, simply because they diverge too much, and sometimes even contradict established doctrine. A papal declaration of clarity, which, in response to the dubia, would be either a confirmation of existing doctrine or a denial or refutation thereof (and would do nothing to undermine Pope Francis’ focus on mercy, charity and pastoral care in difficult situations), would at least indicate whether individual interpretations from bishops and bishops’ conferences are in line with the intent of Amoris laetitia. Would all confusion be removed immediately? Probably not. People, Catholics included, can be a stubborn lot and individual agendas hard to let go of. And, as an added bonus, perhaps the entirety of Amoris laetitia would then deserve its due attention, and not just those parts of it which discuss the headline topics of divorce and Communion, which have led to different interpretations. “Despite all the good intentions of the spouses and in spite of all marriage preparation, it does happen that relationships fail. People find themselves faced with the debris of their relationship-based lives. They suffer because of their failure to fulfill their ideal of a livelong love and relationship. To their own doubts more than enough economic concerns are often added. Especially affected are the children of a failed relationship. In this plight, it is the Church’s duty to accompany people and support them. In many cases this service is provided by the Church’s counselling centres and single-parent ministries. But in daily pastoral care it is necessary to have an even more open ear and heart, thus “encouraging openness to grace” (AL, n. 37). So we may also answer the question of how the Church should relate to those people who, after a divorce, are civilly remarried and wish to receive the sacrament of penance and the Eucharist. The indissolubility of marrage is part of the indispensable deposit of the faith of the Church. Amoris laetitia leaves as little doubt about this as about the need for a differentiated view on the respective life situations of people. “[T]here is a need “to avoid judgements which do not take into account the complexity of various situations” and “to be attentive, by necessity, to how people experience distress because of their condition”” (AL, n. 296). Amoris laetita highlights the three aspects of accompanying, discerning and integrating as central guiding principles, starting from the basic assessment: “No one can be condemned for ever, because that is not the logic of the Gospel!” (AL, n. 297). In life situations which are experienced more often than not as exhausting and stressful, those involved should find that their Church does not forget them. In how we treat the divorced and remarried it must become clear that they belong to the Church, that God does not deprive them of His love and that they are called to love God and their neighbour and be true witnesses of Jesus Christ. The Holy Father clearly emphasises the aspect of accompaniment when he says, “Such persons need to feel not as excommunicated members of the Church, but instead as living members, able to live and grow in the Church and experience her as a mother who welcomes them always, who takes care of them with affection and encourages them along the path of life and the Gospel” (Al, n. 299). What the Pope means in this regard with accompaniment becomes clear when he maintain in Amoris laetitia: “The Church possesses a solid body of reflection concerning mitigating factors and situations. Hence it is can no longer simply be said that all those in any “irregular” situation are living in a state of mortal sin and are deprived of sanctifying grace” (Al. n. 301). Amoris laetitia does not offer a general rule for this subject and does not allow for an automatic and general access to the sacraments for all divorced and civilly remarried faithful. Amoris laetitia ignores neither the grave guilt that many people in such situations of the breaking and failure of conjugal relationships carry, nor the fact that a second civil marriage denies the visible sign of the sacrament of marriage, even when the person involved was left by is or her spouse through no fault of their own. But Amoris laetitia does not stop at a categorical and irreversible exclusion from the sacraments. Footnote 336 (to AL n. 300) makes clear that the distinction which “can recognise that in a particular situation no grave fault exists” must lead to differentiated consequences, also regarding the sacraments. Footnote 351 (to AL n. 305) also points out that in a situation which is objectively irregular, someone who is subjectively, but not, or at least not completely culpable, “can be living in God’s grace, can love and can also grow in the life of grace and charity” (AL, n. 305), when one receives the help of the Church and, in certain cases, also the help of the sacraments. This also speaks in favour of the possibility of receiving the sacraments in these situations. Amoris laetitia presumes a process of decision-making accompanied by a pastor. Given this process, in which the conscience of all involved is required in the highest degree, Amoris laetitia allows for the possibility to receive the sacraments of penance and the Eucharist. In Amoris laetitia Pope Francis stresses the importance of conscious deicions, when he says, “We also find it hard to make room for the consciences of the faithful, who very often respond as best they can to the Gospel amid their limitations, and are capable of carrying out their own discernment in complex situations. We have been called to form consciences, not to replace them” (AL, n. 37). As it is always about integration, such a spiritual process does not lead in every case to the receiving of the sacraments of penance and Eucharist. The individual decision to not, or not yet, receive the sacraments under the given circumstances, deserves respect and attention. But a decision in favour of receiving the sacraments must also be respected. An attitude of laxity without intense attention for accompaniment, discernment and integration, as does a rigorous attitude which remains in a quick judgment of people in socalled irregular situations. Instead of such extreme attitudes, the decision (Lat. discretio) must be made in personal conversation. We see it as our mission to further develop the path of conscience formation of the faithful. For that it is necessary to enable our pastors and provide them with criteria. Such criteria for the formation of conscience are provided extensively and in an outstandign way by the Holy Father in Amoris laetitia (cv. AL, n 298-300). Much of this text is not new and echoes what Pope Francis and other bishops have emphasised time and again: the Church must find new ways and means to stand with people whose marriage has failed for whatever reason, and the suggestion must be avoided that these people are somehow no longer part of the Church. New, if not for many bishops (and not just those from Germany) is the conclusion that Amoris laetitia allows for the reception of the sacraments in what are called irregular situations, if in certain indivudal cases. The bishops stress, and this is something that, I fear, will be too often ignored, that the decision to receive the sacraments is not the standard decision to be made in all situations. Neither must it be made by a person alone, and it can certainly not be exercised as a right (but then again, that is true for every single Catholic receiving a sacrament). 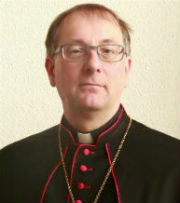 What the German bishops are saying is that in some specific cases, often revolving about the guilt, or lack thereof, of a person in an irregular situation (compare a husband who leaves his wife and children with the wife being abandoned – both are in an irregular situation, but they are not equally guilty), receving the sacraments is allowed. But, they add, a well-formed conscience and the accompaniment of a pastor are required for this, and the pastors must be equipped with the tools and criteria to be able to properly accompany the people they are pastorally responsible for. A condition for interpreting what the Pope says does seem to be clarity on the latter’s part, it must be said. The lack thereof has led to the dubia presented by Cardinals Brandmüller, Burke, Caffarra and Meisner and is evident in the various interpretations that exist. Cardinal Müller is correct in stressing that Amoris laetitia must be “interpreted in the light of the whole doctrine of the Church”, but this is evidently not happening everywhere. The German bishops’ interpretation also relies solely on Amoris laetitia, not on earlier magisterial documents, although they do mention the indissolubility of marriage as central tenet of Catholic doctrine. Whether the German bishops are incorrectly interpreting Amoris laetitia revolves around the tension between the question of the indissolubility of marriage and the pastoral care for the innocent. What seems to be clear, however, is that magisterial documents such as Familiaris Consortio (1981) and Veritatis Splendor (1993) can not and should not be disregarded when reading Amoris laetitia. These earlier teachings must offer a basis and framework for understanding and realising what Amoris laetitia presents. ^Cardinal Eijk, fifth from the left in the second row, participates in a session of the Synod of Bishops. These various interpretations are, I believe, also the reason for the dubia presented by the Four Cardinals (Brandmüller, Burke, Caffarra and Meisner) . They ask for clarification, stating that confusion exists. The fact that there are rather contrasting interpretations is enough to show that they are right. Cardinal Eijk treads carefully, speaking about “possibly unclear passages”, but makes clear that the intepretations of a passage do not change anything in doctrine or Tradition. The compentent authority, in this case the Pope, is the only who can do that. As it looks now, he has no inclination to do so directly, which means that, for the foreseeable future, the confusion will continue. Who knows, perhaps things will settle down in time, at which point clarifications will find more open minds. At this moment, as Cardinal Eijk indicates, and more than a few others with him, Amoris laetitia has not changed anything about the Church’s doctrine. How we approach that doctrine and put it into practice, however, is open to change, adaptation and, most importantly, improvement. And that, I believe, is what Pope Francis is aiming for. Bishop Papamanolis, President of the Greek Bishops’ Conference, says they are guilty of apostasy, sacrilege and heresy and their actions will lead to schism. Msgr. 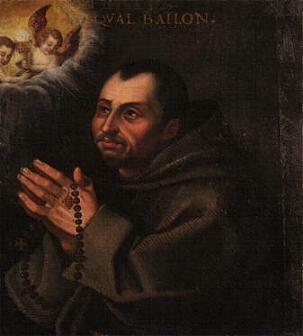 Pinto, Dean of the Roman Rota, suggested that the Pope should take their titles away. What have the targets of such strong accusations done, and who are they? They are the four cardinals who, earlier this month, published a letter to Pope Francis, asking for clarification on several points from his Apostolic Exhortation Amoris laetitia, which I wrote about two weeks ago. Apparently, sincere and honest questions deserve such mindless reactions. Cardinal Brandmüller, Burke, Caffarra and Meisner went out of their way to prevent contributions like this to the debate. They acknowledged not just their own duty as cardinals, but also the authority and respect due to the Holy Father, and hoped “to continue the reflection, and the discussion, calmly and with respect”. Well, Bishop Papamanolis, Msgr. Pinto, and more than a few others, your contributions are about as far removed from calmness and respect as possible. Any scandal in this affair does not come from the four cardinals. Their letter flows from their duty as cardinals and reflects Pope Francis’ clear and frequent request for an open and honest debate. That other prelates (and not only prelates) resort to namecalling and unfounded claims of heresy and threats of punishment is a scandalous denial of their own pastoral and fraternal obligations, and can only detract from what the Church needs and the Pope so clearly desires.